December 24, 2017 11:10 am. Sword Of Osman has put himself right in to Karaka Millions contention with a Te Rapa 2yo win. A youngster bought with a staying career in mind is in contention for a massive juvenile pay day. 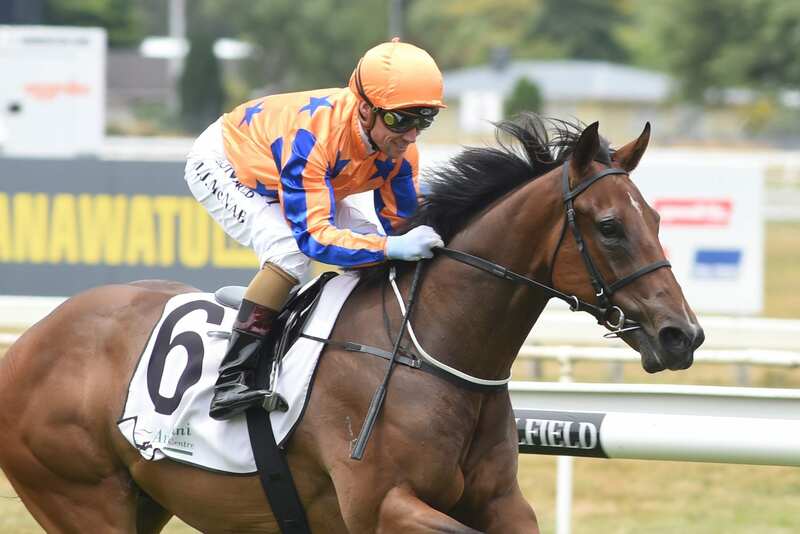 Sword Of Osman distanced his rivals on debut in Saturday’s NZ Bakels 2Y0 Premier (1100m) at Awapuni to put himself right in the frame for next month’s Karaka Million (1200m). The Savabeel gelding made the running and coasted clear in the run to the post to win untouched by three lengths from Platinum Mam’selle and Boy Next Door. “He could be racing for $1 million in a month after he was bought as a staying three-year-old,” said Jamie Richards, who trains Sword Of Osman with Stephen Autridge. At Awapuni, Sword Of Osman was making his first public appearance after impressing at home. “He’s a lovely horse and the Savabeels are all the go,” Richards said. “Unfortunately, it went from being pretty wet to firm and we didn’t want to trial him on a hard track,” Richards said. With Bosson in action at Te Rapa, Michael McNab got the ride and he had the easiest of times aboard Sword Of Osman. Sword Of Osman’s performance has strengthened the stable’s hand to defend the Karaka Million title held by Melody Belle.